I’ve previously written about White Swan Park in Coraopolis, but for those on the eastern side of the city, Rainbow Gardens was the place to go. Located in White Oak at the intersection of Lincoln Way and Route 48, Rainbow Gardens got its start as a roller rink which opened in 1924. Unlike its trolley park counterparts, Rainbow Gardens attracted a more suburban crowd — particularly those with cars. The park’s first piece of property was purchased for just $1.00. Eventually, more than 30 acres was procured as well as two mortgages for $25,000 and $70,000. 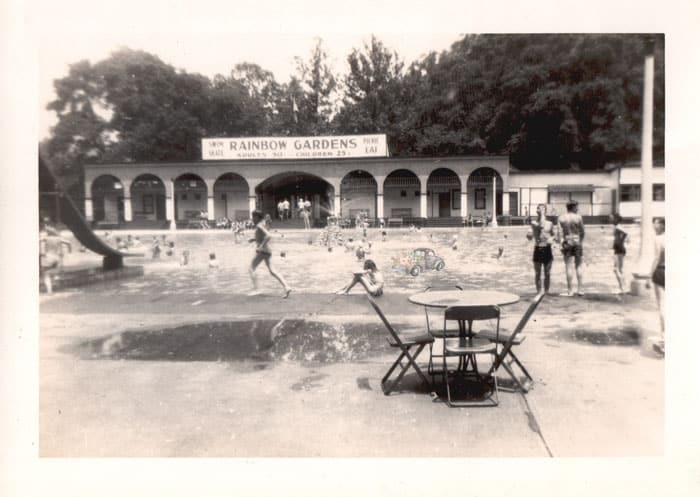 This image shows the Rainbow Gardens pool and bathhouse. The bathhouse advertises $0.50 for adults and $0.25 for children. In 1926, construction began on a large swimming pool which started at six inches deep and gradually increased to nine feet deep. The water was obtained via five wells on the property, then filtered and heated. A sand beach surrounded the pool in three sides and the pool itself featured diving boards and slides. A two-story bathhouse, with an enclosed balcony on the second floor, was said to accommodate 600 patrons. In the late 1920s trouble started arising for Rainbow Gardens when a disastrous flood did extensive damage to Rainbow’s pool and buildings. Unfortunately, there was no insurance on the pool. Three months after the flood, the owners lost most of Rainbow’s property to bankruptcy, and the rest to the Great Depression. Not much is known about the park’s history in the following 10 years. In 1943 a group of investors purchased the park and began an expansion of the grounds. This expansion coincided with the announcement that a local park competitor, McKeesport’s Olympia Park, would not reopen for the 1943 season. This is the back of the Rainbow Gardens Drive In screen. You can see the miniature railroad in the bottom left corner. 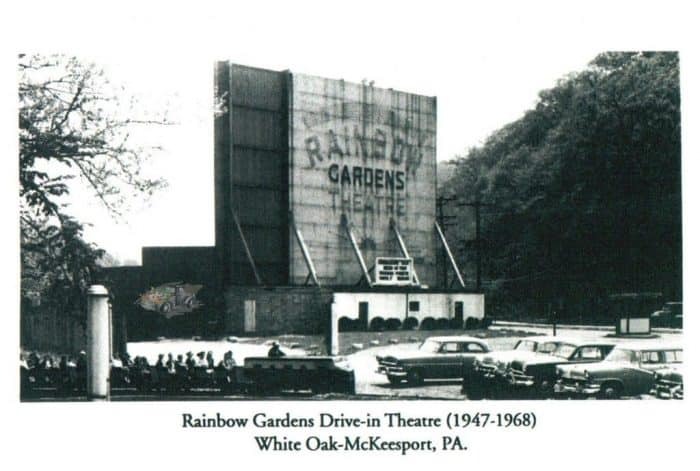 In 1947 a drive-in theater was added to the Rainbow Gardens complex — one of the first drive-ins in Allegheny County. It cost $1.00 to get in and patrons would try to pack as many bodies into a car as possible! The park continued to expand and a carousel, miniature train, and children’s rides were added. In 1948 the decision was made to pursue making the park a full-fledged amusement park. Now here is my favorite part. This postcard would have had to have been taken sometime before 1954 but after 1948 as the carousel building is visible in the upper lefthand corner as well as the miniature train around the pool. The roller coasters had not yet been built. In 1954, $60,000 was spent not only to install a concrete block midway, but also to purchase a junior roller coaster by National Amusement Device Corporation. This junior coaster, trimmed in stainless steel and chrome, featured a 31-foot lift hill, eight dips, and a 180 degree turn over Long Run Creek. It was named “the Bomber” as a nod to the role Western PA played in World War II. The Bomber was joined by a second roller coaster, a Schiff Wild Mouse. Wild Mouse roller coasters were characterized by tiny cars, a narrow track, and sharp curves with fast drops. Other attractions that were added included “The Clipper” which was similar to the classic Shoot-the-Chutes ride, a Caterpillar, Round-Up, and a dark ride. Eventually the park grew to feature 19 adult rides, 11 children’s rides, and miniature golf. This was in addition to the swimming pool and roller rink. The future of Rainbow Gardens at the start of the 1968 season looked uncertain. In this picture taken in 1957, you can see the Bomber roller coaster as well as the carousel behind the pool. Trouble for Rainbow Gardens started looming on the horizon starting at the beginning of the 1968 season. A highway project was in the works and plans called for the highway to run directly through the park. Due to the park’s uncertain future, park expenditures were scaled back, including minimal repairs on rides. The Clipper, which was in need of repairs, never reopened. The final blow came on September 6, 1968 when PennDOT condemned the park and gave the owners until October to vacate. PennDOT ultimately purchased over 400 acres of private property through eminent domain — for just over $5 million. The state appraised the amusement equipment and sold it at auction. Frontierland in North Carolina purchased a large number of rides, including the Clipper and Bomber equipment as well as the Wild Mouse coaster. In 1972, the last landmark of what was once Rainbow Gardens was destroyed. Skating had continued at the roller rink, which was owned by Rainbow Volunteer Fire Company, until April 30, 1972. At this time the fire company had felt that the rink had outlived its usefulness and the rink was burned in a controlled blaze. Ironically, the demolition of Rainbow Gardens proved to be unnecessary. Environmental concerns as well as changes in federal guidelines meant that the expressway project ended up being tabled permanently. In 1981, PennDOT sent letters to the former owners offering their land back. Rainbow Gardens owners declined and the land was once again auctioned off in 1994. Ultimately, a shopping center was built on the property that was once Rainbow Gardens. Sadly, Rainbow Gardens wasn’t the only Pittsburgh-area amusement park doomed bu road projects. 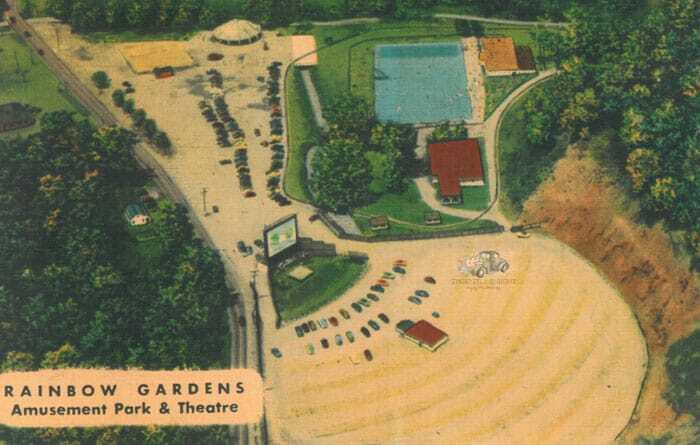 In 1988, Rainbow Garden’s west-side contemporary, White Swan Park, was also demolished by PennDOT for road realignment. 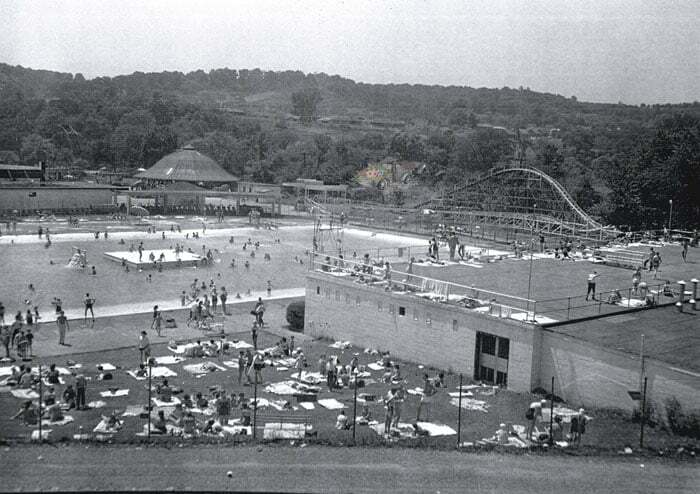 While all but two of the Pittsburgh-area amusement parks that once were still remain (Kennywood and Idlewild), it is interesting to take a look back and remember the parks that once existed. How about West View Park. It was burned down at the end of 1977 or 1978 season due to insurance reasons. Then was a Kmart put in and parking lot! I miss that Park. My favorite ride was the Bat Shoot ?